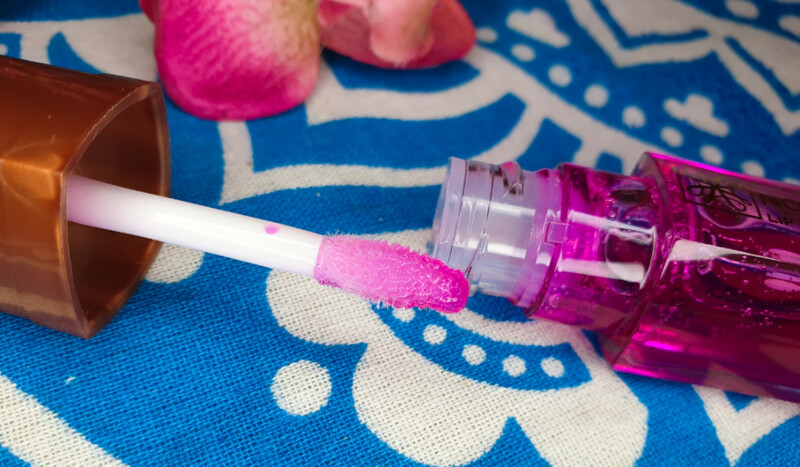 You can apply this Lip Oil directly to the lips or over the top of lipstick. It leaves a very subtle tint of pink on the lips, but it isn’t very noticeable on me. So when I say subtle, I really do mean subtle. However, on my sister who has darker skin than I do, it shows up slightly more. Therefore I didn’t take a photo of how it looks on mine as it isn’t noticeable (simply looks like I’m wearing regular lip balm), but here is a photo of my sister wearing it. It applies really easily so you can be ready to go in seconds. It isn’t sticky at all either, so even on windy days you’re okay. 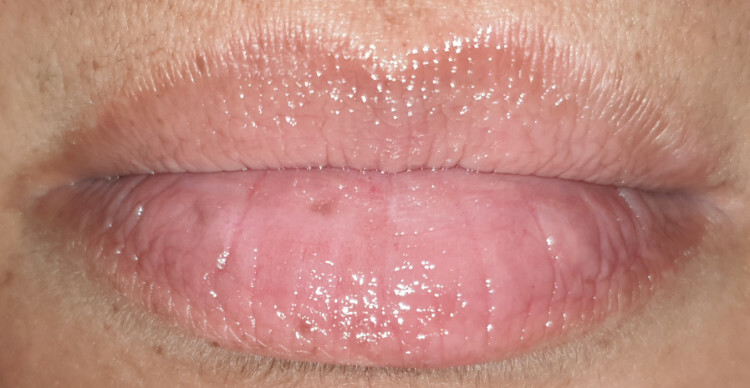 Seeing as this is called an oil, it can be easy to expect this to be of an oil like consistency and for it to feel slick and wet on the lips, just like an oil would. Lip oil’s are not quite a balm, not quite a lip gloss, like somewhere around there but it’s own entity. Sort of like a gel. This particular one applies and looks a lot like a gloss, but it doesn’t stay glossy for long. Wear time with the glossy finish is only about an hour or so, far less if you drink and eat in that time (more like half an hour). After this, you may get an extra hour with a lip balm type finish before you need to reapply. Whilst it’s not described as a lip gloss and instead as an oil, you should expect low wear time with the need to reapply often. However, this doesn’t feel like an oil and ends up feeling like a lip gloss with little longevity. 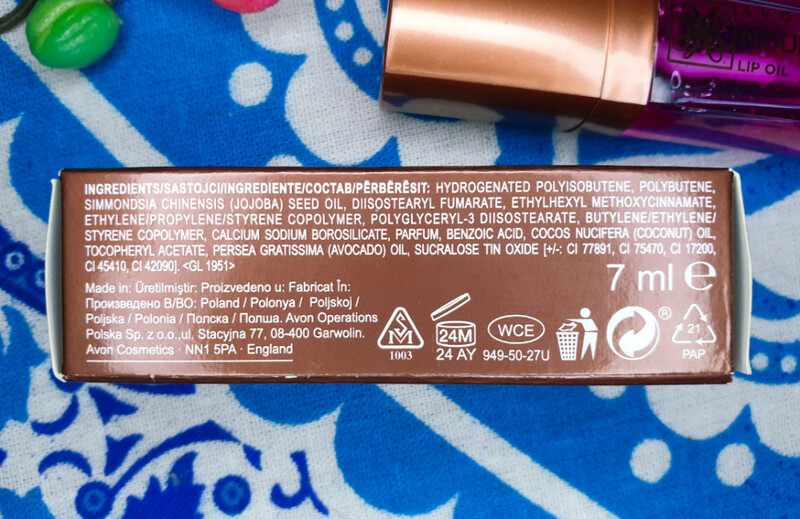 Of course, you don’t want it to be too runny because that can be hard to apply, but you’d expect some kind of middle man between pure oil and gloss, you know? Putting that aside though, let’s talk about how it works to moisturise the lips. That’s the important feature here. I mean I’m happy to re-apply frequently if my lips are getting moisturised, as you would with a lip balm. I’m glad to say that this does moisturise the lips, but only to an average degree. If you have really dry or cracked lips, this isn’t going to do much. If your lips are already relatively fine and you’re just looking for a light hydration or protection, then this Lip Oil is okay. Sadly though, okay is about as far as I can go with this one. I like it and I’ve been wearing it quite a bit, it is definitely more of a throw on and go product for when you’re not doing yourself up. Think casual trips to the shops or something with little other makeup. It’s just that it’s more something to protect your lips from the cold or the sun whilst you’re out for a short while kind of product. It doesn’t feel spectacular to me. Maybe I had my hopes set too high with this, but I was really expecting something more hydrating. Lip oils are praised as being more moisturising than lip balms, but I definitely have tried harder working lip balms than this oil. If it was more hydrating then I think I’d be praising this so much more. With this all said though, it is super affordable and for the price it’s good and it is very wearable. Alongside that, it’s non-sticky and glides on like a dream. Like I explained in the intro, it does contain jojoba, avocado and coconut oils, it’s just that I think the addition of everything else turning it into a gloss-like product kind of limits the ability of them. I’ve used each of these oils on my lips and they’re all great, so I know that they're fab options to include. I just wish it had more of the oils that are really benefitting the lips I guess. It doesn’t feel like they’re doing what I know they’re capable of individually. I’m by no means calling this a bad product though. It’s not a bad product. It is a good product. It just isn’t a great one. 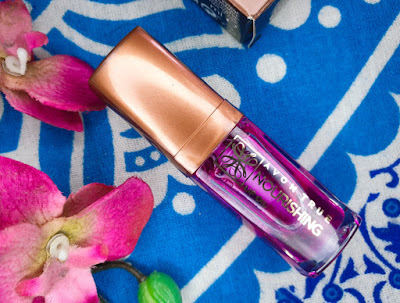 It needs more moisturising power to be up there with the best, but if you need something for protection over cure then this is a good Lip Oil to try out. If you have super dry or cracked lips, you may want to pass. If you want to try out the new Avon True Nourishing Lip Oil then they’re available now. 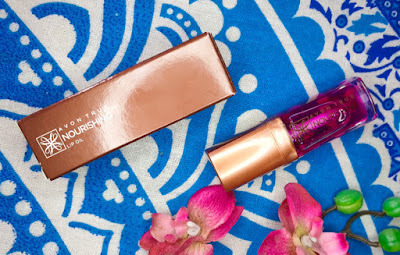 You can order one from my online Avon store (UK, courier delivery only) or your local rep.
What are your thoughts on the Avon True Nourishing Lip Oil? Are you a fan of oils or do you prefer balms?